Rabbi Mendel Hendel, Chabad shliach to Athens. What is a Rabbi to do when he’s prepared Shabbos meals for 130 people, then gets a call hours before sunset that he has to prepare for more than a hundred others who would be stranded in his city for Shabbos? If you’re Rabbi Mendel Hendel, you spring right into action, and give everyone the most memorable Shabbos of their lives. Just before 11:00 a.m. last Friday morning, Rabbi Hendel, Chabad shliach in Athens, received a phone call from Israel. The caller was the assistant of Rabbi Shalom Ber Sorotzkin, Rosh Yeshivas Ateres Shlomo. The latter, a passenger on El Al Flight 002, which left New York en route to Tel Aviv hours late Thursday night, had instructed his assistant to be in touch with the airline about the flight’s status, and alert the Rabbi in whatever city the plane – which had no chance of making it to Israel for Shabbos – would be diverted to. Rabbi Hendel was first asked to arrange meals for 60 to 70 people, an El Al estimate based on the number of people who had ordered mehadrin meals. Shortly afterward, an El Al representative contacted him, and said that the number would in fact be 80. “I immediately called our kitchen staff,” Rabbi Hendel said, in an interview with Hamodia Tuesday recalling the dizzying events of last weekend. “I asked for extra help, and we got to work preparing meals.” Fortunately, the Athens Chabad House has a restaurant and commercial kitchen – it does catering for groups, and sends kosher meals to people traveling to the Greek islands in the summer. The Chabad House already had 130 guests for that Shabbos. As the flight landed in Athens just an hour before Shabbos, there was not enough time to send the passengers to hotels near the Chabad House, which is in the center of town, 45 minutes from the airport. Instead, the airline had to put them up in the Sofitel hotel, just across the street from the terminal. At first, Rabbi Hendel figured he’d just prepare the food and bring it over to the hotel, returning to the Chabad House for Shabbos. “But then we realized it was much more complex — that many people would be at the hotel, and it would require a lot of improvising and finding solutions. And the hotel had no experience with Shabbos or kashrus; everything would be new. The Hendels and staff prepared the food as quickly as possible and ordered paper goods. Mrs. Hendel brought the first shift of food to the Sofitel – hot-water urns, and food that had to be warmed, double-wrapped, in the hotel ovens. Although no more than 80 mehadrin meals had been ordered, the number of shomrei Shabbos on the plane was around 170 people. Around 20 passengers were placed in a Holiday Inn 6 miles from the Sofitel; as the Rabbi was unpacking his car, he gave food and other supplies to these people, who would be spending Shabbos on their own. Rabbi Hendel, who grew up in Migdal Ha’emek, Israel, and has been the Athens Chabad shaliach for 18 years, said he had never before been thrown into a situation like this. There were many frantic and anxious moments before Shabbos; the passengers had to partner up in the hotel rooms, and the hotel did not want to allow them to light candles anywhere in the hotel, or to plug in hot plates in the kitchen. But baruch Hashem, Rabbi Hendel and others were able to defuse each situation. And then, from those frantic moments, as the sun set, it was “bah Shabbos bah menuchah,” said Rabbi Hendel. The passengers expressed amazement at the array of foods the Chabad staff was able to prepare on such short notice. “People told me that when they saw the gefilte fish and variety of salads, they thought that would be the whole meal; then they were shocked when they saw all the chicken and meat! “There was plenty of food, people shared what they had, and baruch Hashem, nobody went hungry. 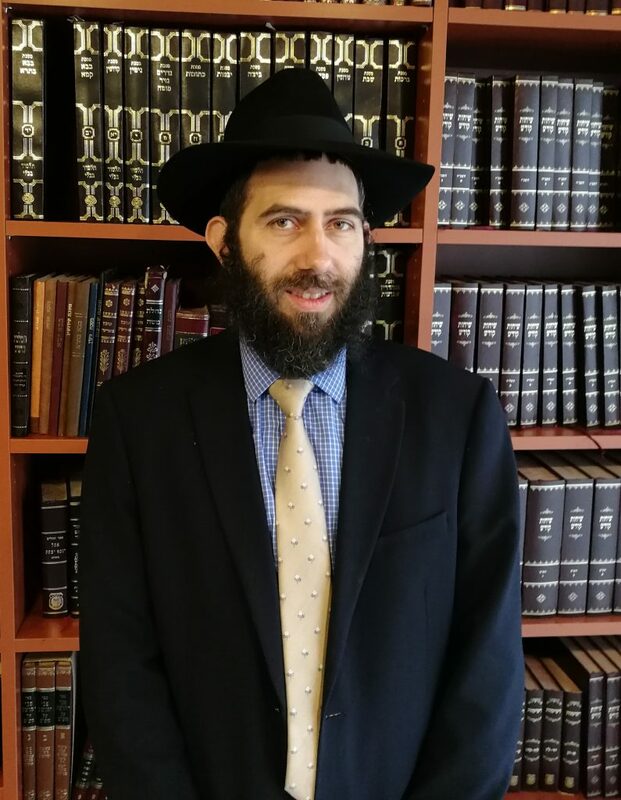 The next morning in shul, Rabbi Hendel mentioned to Rabbi Katz that the Athens Chabad — which had been using a mikvah in a suburb quite a distance away — was in the process of trying to build its own mikvah. A year and a half ago, a group of Satmar chassidim from Williamsburg had spent a Shabbos there; they pledged to donate money to get a mikvah project up and running. With additional help from Keren Mikvaos, the project had been progressing but had recently stalled, as it had only raised about half of the $280,000 needed. Prior to leining this Shabbos, Rabbi Katz said a dvar Torah and made an appeal for the mikvah. Another Rabbi there, Rabbi David Derli of Teverya, also made an appeal for the mikvah, and said he believed it was hashgacha pratis that they got “stuck” there for Shabbos. For the Shabbos morning seudah, while there had been no time to prepare a cholent, everyone enjoyed moussaka, a traditional Greek dish made of layers of potatoes, eggplant and beef. While there was not enough food for full meals for Shalosh Seudos and Melave Malaka, people washed, ate bread, and enjoyed snacks … and the amazing feeling of achdus. What thought does one take away from such a memorable Shabbos?